In life we all get called a few names we don’t like, that’s just how things work. In sports however, there is one thing that stands alone as the worst thing you can call something, and that is a bandwagon fan. For any legitimate fan, being called a bandwagon fan can be completely infuriating. For one, it questions your loyalty, your credibility, and your realness. Being called a bandwagon fan is pretty much being called fake, and nobody wants that on their plate. 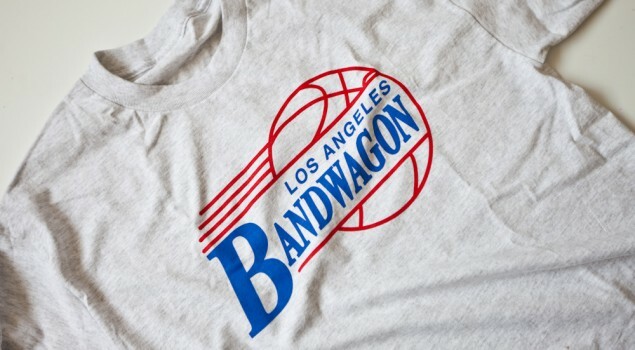 Being called a bandwagon fan, is usually a cheap shot from an angry fan to a happy fan of another franchise. A lot of times people use this fraze just to piss someone off but what exactly is a bandwagon fan? A bandwagon fan is a very simple concept. This is a person who essentially hops on a teams bandwagon because their hot at the time. This is a person who switches alliances because the new team is popular. A bandwagon fan is pretty much a follower. They also come in the form of a hater, such as a fan who switches allegiances because of dislike of the opposing team. These people arent really important and usually don’t even know sports like that, so being called a bandwagon fan will mean nothing to them, but us sports fans, its one of the worst insults. One of the worse cases where someone will call you an undeserving bandwagon fan is because of player allegiances. Heres a quick example of how the conversation would go. Now I’m not even going to piss this fake conversation because it actually got me a little mad reading it. The point I’m trying to make is that being a fan of a team because of a player allegiance is very reasonable. There’s nothing wrong with following a player, but you still should root for the team they just left, you know for loyalty sake. Yes that counts for following LeBron to Miami as a fan, its ok he’s the greatest player in our generation you shouldn’t feel bad for liking him. Another misunderstood concept is that you have to be a fan of a franchise for a long time to be considered a real fan, which is wrong also. That’s like telling a Celtic fan they aren’t legit because they didn’t watch them when Antoine Walker was there, now we all know that doesn’t sound right. You can turn on a game see a team play well and become a fan just like that, its not the time you put into being a fan, its the loyalty that you bring too the team that counts. Another low blow is calling someone who just started watching a sport a bandwagon fan because the team they like is a winner. Think about it, if you just start watching the NBA this season why in the hell would you root for a team like the 76ers over a team like the Heat. People want to root for a team that has an actual chance of winning, you don’t have to like a team that’s completely garbage to be considered real. Sitting through a teams rough years can be a nice gesture but like i said it really doesn’t matter how long your a fan, its the loyalty. Another quick point is it’s okay to move on from a franchise. Just like players eventually leave fans can move on and rock with a new team if they please. Like I was saying before it’s all about the reason that you leave. As long as you don’t leave for popularity reasons than your fine. For sports fans everywhere being a bandwagon fan is nothing to play about. It’s really the worse thing you can call someone. If you ever call someone that and they get angry you know why, being called a bandwagon fan is the worse.